SANTA CLARA, Calif.--(BUSINESS WIRE)--ServiceNow (NYSE:NOW) today announced new investments that will apply intelligent automation to improve user experiences and process automation using virtual agent technologies across IT, HR, Customer Service and Security workflows. These new capabilities will benefit from the rich data that customers already have on the Now Platform, and will be applied to current use cases – such as how employees interact with HR and IT service desks, and how customers interact with customer support – improving service levels and user experiences. ServiceNow has agreed to acquire Qlue. 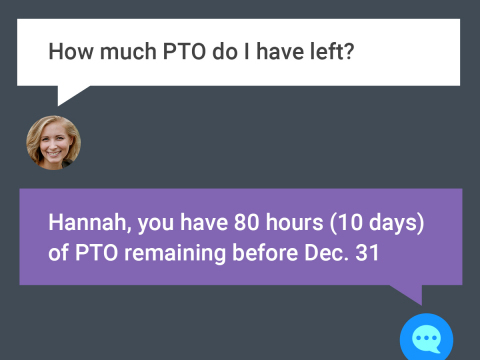 ServiceNow plans to further increase productivity for its customers and enhance their experiences by applying artificial intelligence to routine service desk conversations with Qlue’s virtual agent messaging capabilities. With this acquisition, ServiceNow expands its offerings to make everyday work more intelligent in its Intelligent Automation EngineTM on the Now Platform. This is an all-cash transaction expected to close this month. Financial terms were not disclosed. ServiceNow Ventures announced its investment in BuildOnMe, an early-stage company delivering artificial intelligence-enabled applications on the Now Platform. Financial terms were not disclosed. Qlue leverages artificial intelligence to power virtual agents. Qlue’s solutions can answer Frequently Asked Questions (FAQs) such as “What is our policy in paternity leave?,” requests such as “What’s the status of my order?” and problem diagnostics such as “My internet connection is slow.” ServiceNow plans to apply Qlue to assist in a range of service desks domains, spanning IT, HR, Customer Service and more. ServiceNow will re-platform Qlue in its Intelligent Automation Engine on the Now Platform. When employees have questions about benefit enrollment, vacation policies, a leave of absence or jury duty, they typically call or email HR agents. This is also the case for IT service desks who deal with password resets, equipment requests and software issues, and for customer service agents who deal with warrantees, faulty products or the status of an order. Virtual agents provide a two-way flow of interaction in natural language between machines and humans. With machine learning and artificial intelligence as the underpinnings, a virtual agent chatbot can solve problems, answer questions and undertake actions with greater efficiency and faster turnaround. Chatbots provide employees or consumers an experience that can be personalized, accessible and effective. Self-service using chatbots frees up human agents who can then focus on higher value work. ServiceNow customers are well positioned to take advantage of machine learning within the Intelligent Automation Engine. Unlike vendors whose predictive models are applied to wide swaths of data from multiple customers, ServiceNow’s approach is tailored to each customer and their own cloud instance via ServiceNow’s multi-instance architecture. This means ServiceNow can train individual datasets that are specific to our customers’ businesses resulting in highly accurate predictions. BuildOnMe’s artificial intelligence applications also enable companies to automate many mundane tasks with a chatbot. Because they are driven by artificial intelligence, BuildOnMe’s solutions get smarter with every interaction. BuildOnMe Bob (BuildOn Bot) delivers for the first time a chatbot HR assistant running on the Now Platform. Bob increases HR employees’ self-service support, which can deflect cases. Bob for HR addresses common questions and requests so HR agents can focus on the more complex and strategic aspects of HR work. Bob is connected to knowledge bases so employees can ask questions of Bob, rather than sifting through content in different places. Bob understands when an employee types, “I just had a baby,” that it should direct the inquiry to the company’s maternity policy and benefits. It also processes requests for a leave of absence, vacation and more. Bob can also be adapted for expertise in IT service management. BuildOnMe also offers BuildOn Claims, an AI-infused end-to-end claims management and customer portal for the insurance and legal industries. Built on the Now Platform, its AI roadmap includes historical claims and patterns analysis, fraud detection and intelligent routing of claims, among other tasks. Today’s Qlue news follows ServiceNow’s DxContinuum machine-learning buy in January. BuildOnMe is the eighth investment by ServiceNow Ventures, which targets early-to growth-stage companies that have a product built on the Now Platform. BuildOnMe is a products and services company based in Reston, Va., that harnesses the power of Artificial Intelligence to supercharge cloud applications. BuildOnMe is a certified ServiceNow Technology and Services Partner. Learn more at https://buildon.me/. Your enterprise needs to move faster, but lack of process and legacy tools hold you back. Every day, thousands of customer requests, IT incidents and HR cases follow their own paths—moving back and forth between people, machines and departments. Unstructured. Undocumented. Unimproved for years. With the ServiceNow System of Action you can replace these unstructured work patterns of the past with intelligent workflows of the future. Now every employee, customer and machine can make requests on a single cloud platform. Every department working on these requests can assign and prioritize, collaborate, get down to root cause issues, gain real-time insights and drive to action. Your employees are energized, your service levels improve and you realize game-changing economics. Work at Lightspeed. To find out how, visit www.servicenow.com. ServiceNow announced new investments that will apply intelligent automation to improve user experiences and process automation using virtual agent technologies for its customers.